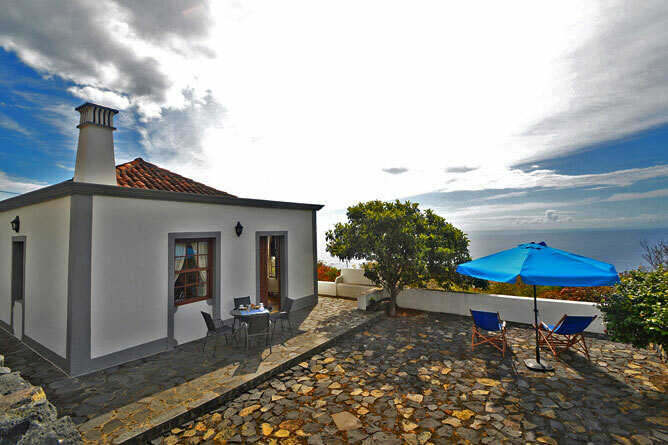 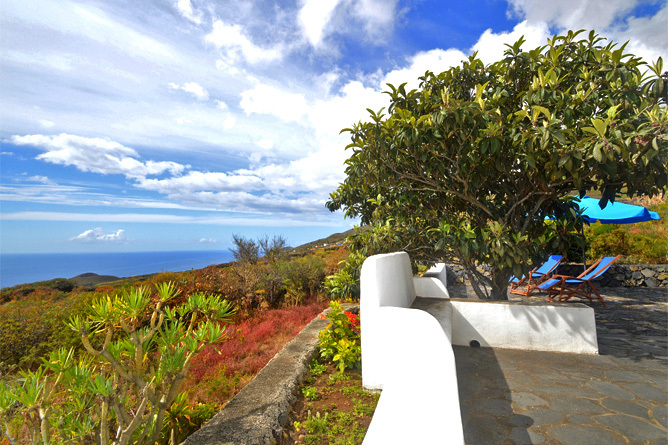 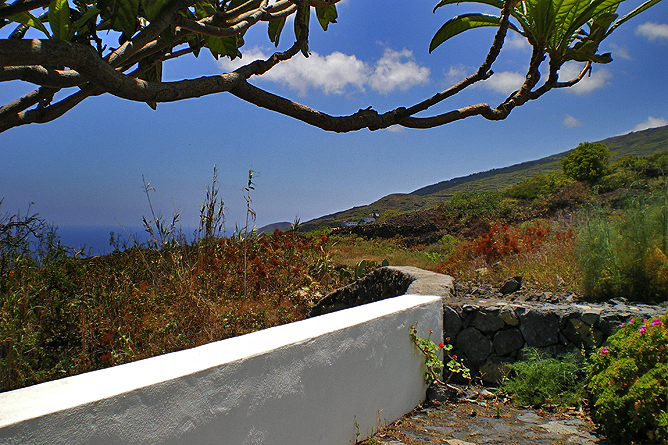 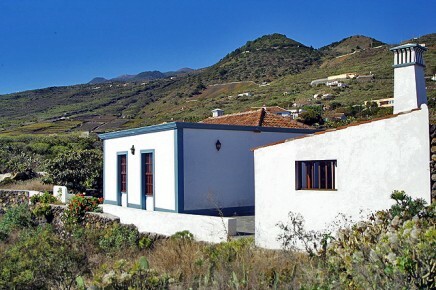 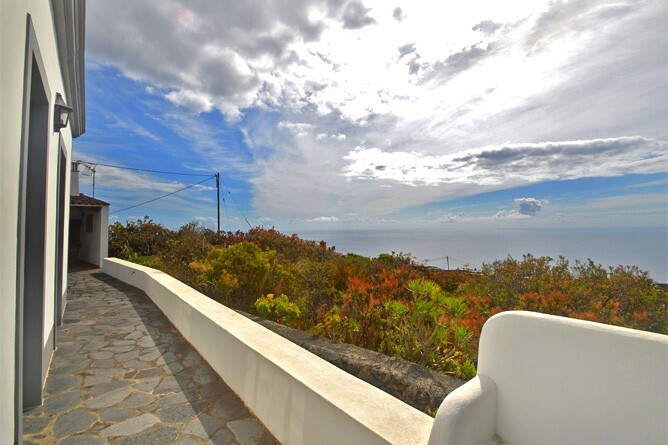 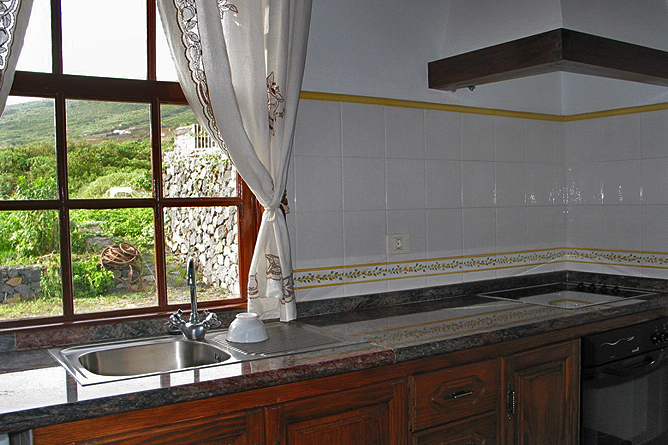 The detached Holiday House has a standalone location and is situated 278 meters above sea level, providing an open view of the sea and the mountains. 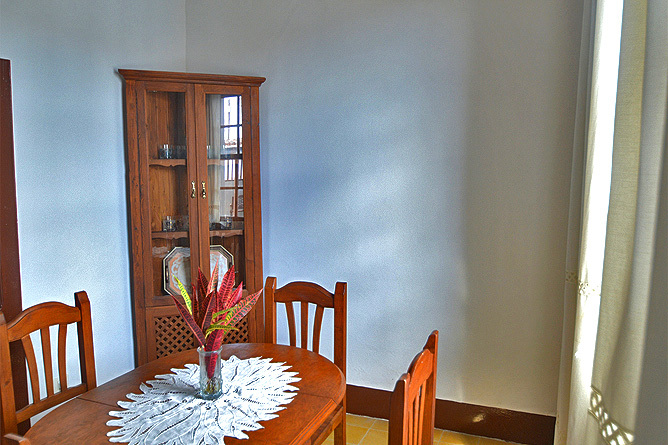 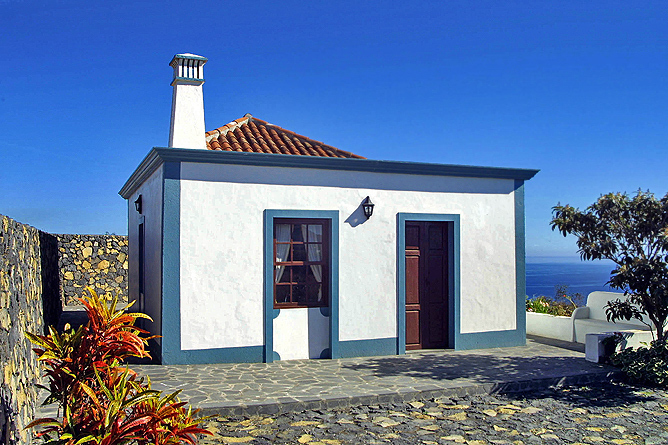 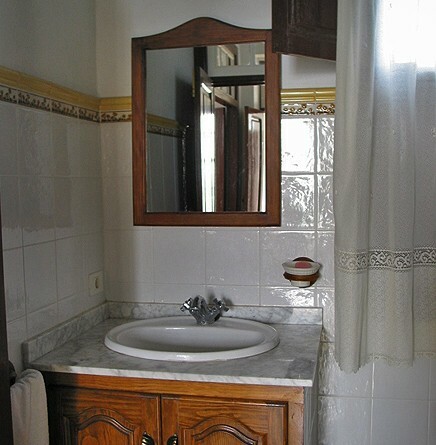 The colonial-style built Holiday House features high windows and doors as well typical floor tiles with original patterns and in some parts of the hosue old Canary wooden ceilings. 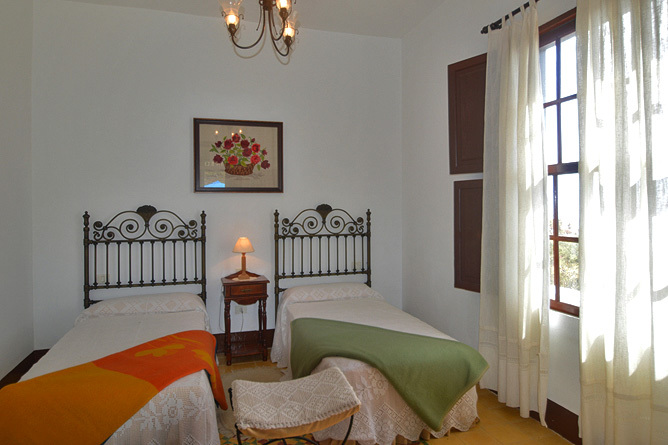 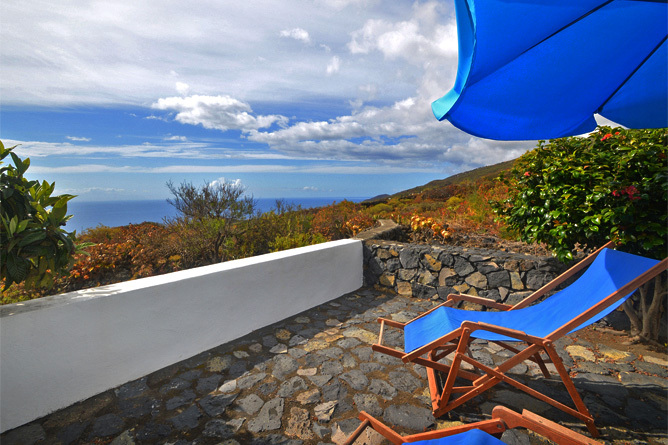 The hand-forged bed frames are covered with crocheted bedspreads - in Casa Callejones you live like the Palmeros! 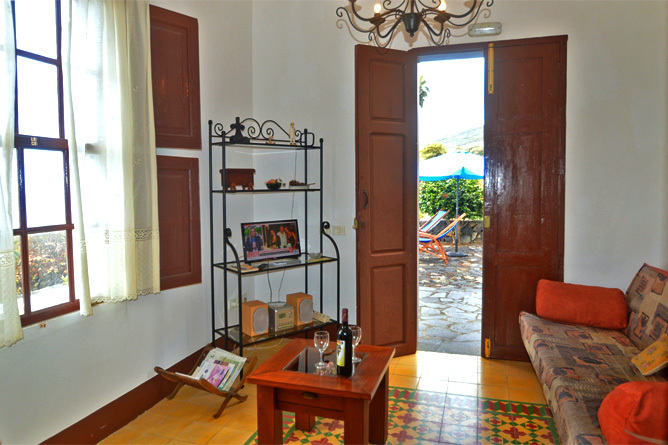 The bedroom has two single beds, the sofa in the living room can also be used as a sofa bed. 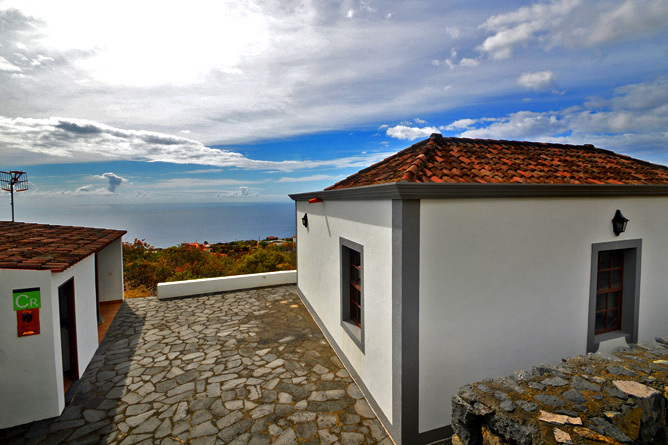 Both, the bedroom and the living room offer a beautiful sea view. 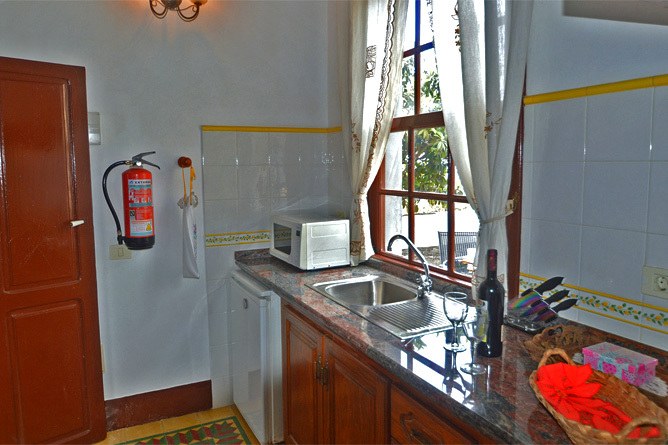 The kitchen is small, but there is a separate dining room. 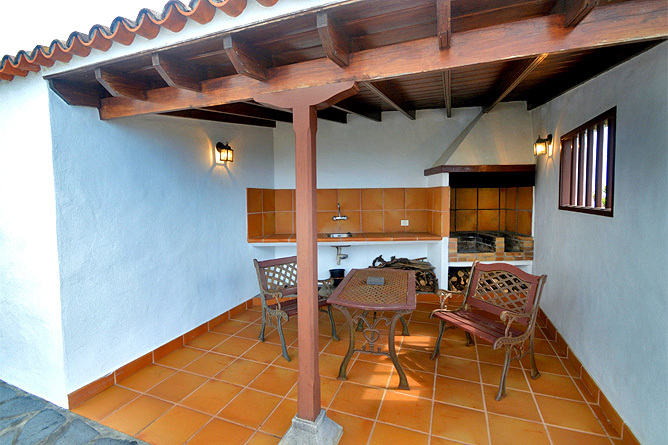 On one side of the surrounding terrace there is an outdoor kitchen with a large brick barbecue. 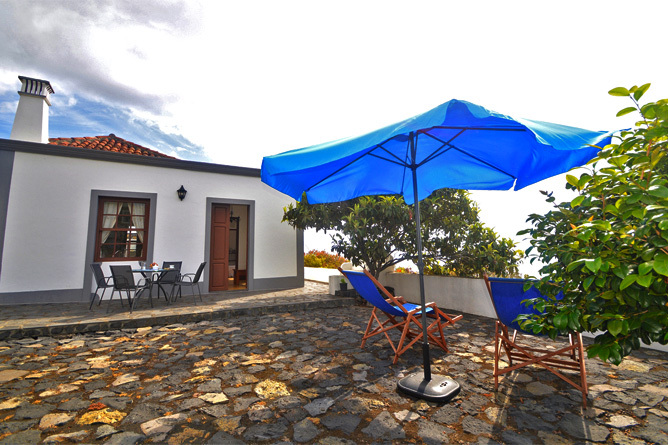 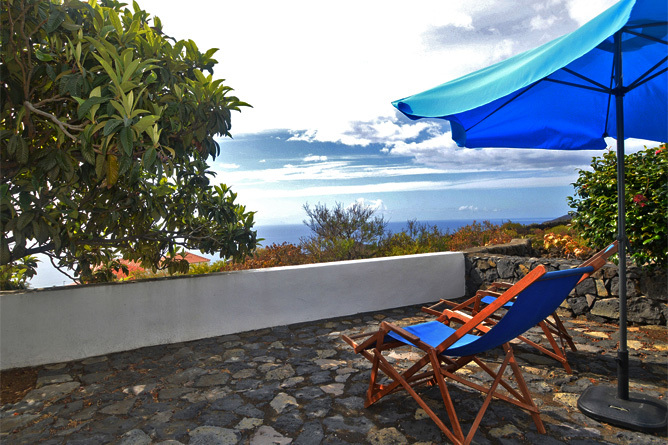 On the other side, as well as in front of the Holiday House, you will find sunny or shady corners to place the loungers and at the same time enjoy the sea view.